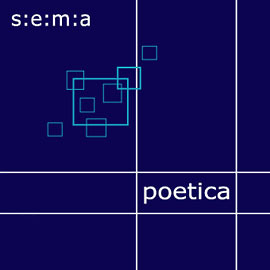 s:e:m:a is a cologne based project which combines electronic music with german poetry. dizzkant (music) and m. rassiller (lyrics) offer a live performance using the space of their music for unfolding active textual poetry. located in the field of electronic music between minimal, dub and electronic avantgarde sounds, they also incorporate improvised elements.